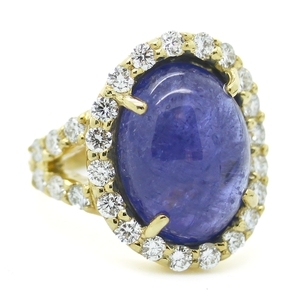 Large Tanzanite Ring With Diamonds at Reliable Gold in Providence, RI Reliable Gold Ltd. 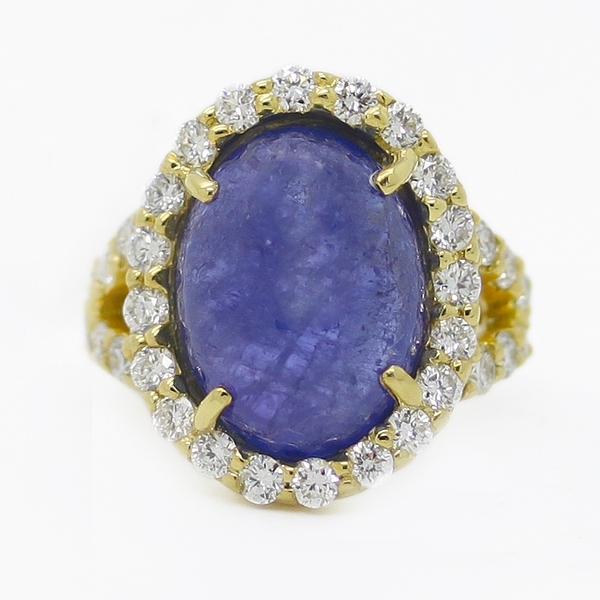 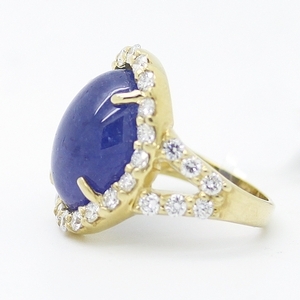 Absolutely gorgeous hue and proportions on this lively with featuring a large oval cabochon tanzanite that is surrounded by diamonds, approximately 1.60 carats total weight and set in 14K yellow gold. 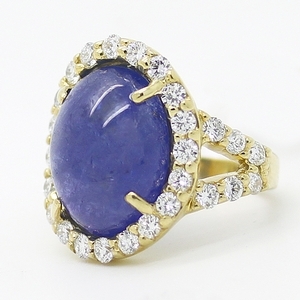 A serious beauty!